The way you hold your drumsticks plays a vital role in the quality of sound that you produce and the length of time that you will be able to play your drums. Unfortunately, the proper holding of the drumsticks is one of the most ignored and neglected protocols when it comes to playing the drums. If you are one of those drummers who has not really been holding your drums, you will most like hurt yourself in the long run so start paying close attention to how you hold your drumsticks. Always remember that your drumsticks are extensions of your hands and not just an accessory that you use to hit the drums with. If you are still a beginner and you still have not established a way of holding your drumsticks, it would be best for you to ask your music teacher to show you how to hold your drumsticks properly and practice that kind of grip. Learn the right way to hold your drumsticks right from the start. Always remember that unlearning something is a lot more difficult than learning something for the first time to make sure that you start your drumming lessons in the right direction. Different people have different ways of gripping their drumsticks. The most common way of holding the drumsticks is the matched grip. The matched grip is very easy and is very popular especially among those drummers who are into pop music. When using the matched grip method of holding your drumsticks, you just simply hold both sticks in the same way with your palms facing downward. All your fingertips should rest lightly on the drumstick. The good thing about using the matched grip method of holding your drumsticks is that you can use the same gripping style when playing other instruments such as the timpani, chimes and other types of percussion instruments. Another popular way of holding the drumsticks is the traditional grip which allows you to hold your drumstick with your palms facing up with your fingers gripping the sticks from underneath. 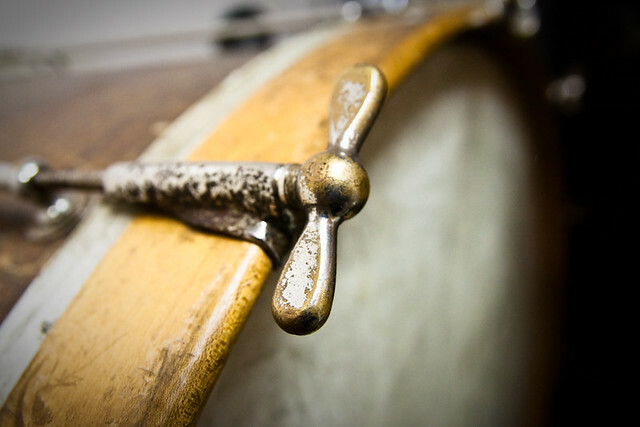 The traditional grip is very popular among jazz drummers because this allows better dynamic control. If you are aspiring to become a jazz drummer, it would be a good idea for you to practice holding your drumsticks in this manner from the very start so that you will be able to get the hang of it. However, if you have no plans on concentrating on jazz music, it would be best for you to use the matched grip. Note that if are using a bigger drum kit, the traditional grip may make it difficult for you to move around especially if you are using a bigger drum kit. You may find it quite awkward to hit your cymbals in this position.